On Monday 127 staff members from Carolina Creek Christian Camp will be pouring out of buses at Gomer's House. We wrote down a short bio to share with them on their bus ride there. I thought you might like to read it as well. Enjoy. Throughout our marriage, God has given us opportunities to house different people in our small, single family home. Then five years ago, God started turning our hearts to provide a place of healing for people. At the end of 2007, God told us to sell our home. Not knowing where we were going, we put our home on the market. In April of 2008, our house sold for full price even though the exact model next door had sold for $10,000 less just a month earlier. This began our Abrahamic season where we stayed with four different friends for a nine month period. During this time, we began fervently asking the Lord where we were to be and exactly what we were to be doing. He showed us pastors that were hurting, people hurt by pastors, missionaries in need of refreshing, and we personally lost two brothers to drug addiction. How was God going to tie all of this together? One day we prayed and asked God for a miracle of direction. While perusing Craig’s List for something completely unrelated, we found a 3 story, 100 year old house in a town we had never heard of. God miraculously provided the down payment and we were set to begin. As we moved into the house in January of 2009, we began to see how God was going to use us to reach such a wide array of people. This glorious house is situated amongst a poor and drug ravaged neighborhood. God graciously brought us people to completely redo all of our plumbing and much of our electrical so that we could live in the house. Volunteers have continued to stream in over the course of the last year bringing much of what we needed. People always ask if we know that Gomer was a prostitute. Two years ago, while studying the book of Hosea, God clearly told us that this was to be the name of the respite. Hosea was one of God’s main men during his time and his wife was a drug addict and a prostitute. If this was going on in Hosea’s home, we can only imagine the need for healing in homes of ministers today. We thought that God would finish our house before He started sending people to us. Several months after we moved in, He started sending people to stay and rest and find healing. It is a beautiful testimony of how God can use 5,500 square feet in need of desperate restoration to minister. We will also be taking in a family of five in the coming weeks. While you work, pray for the people living in Fentress. 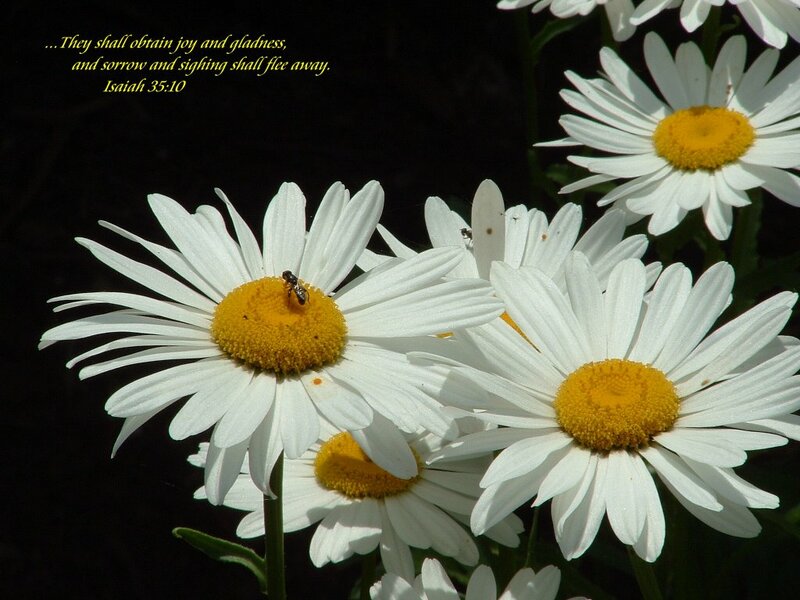 Pray for those captive to drug and alcohol addiction to be set free. Pray that their hearts would be prepared to hear the good news and receive Christ. We love you and we are deeply grateful for you! 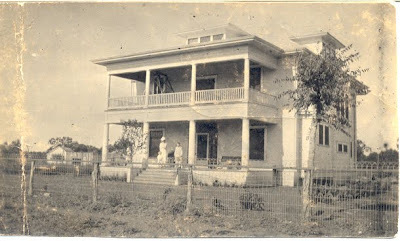 †Gomer's House is being restored to serve as a respite to the least, the last, and the broken. Over the past few years I started wondering if we were fooling ourselves with all of the good works we do in church. This is going to sound completely offensive, but I was wondering if we were just running in circles trying to entertain middle class white people. I really began asking the Lord if we were glorifying Him or just saturating ourselves with more hording. Can you horde scripture about how God wants you to be fulfilled? It seems that most everything I hear is about us. What about the rest of the gospel? "We have gone from being fishers of men to being keepers of the aquarium." I just sat there with the Lord and asked if He would remove anything that made keeping the aquarium alluring. Lord, I don't want to keep the aquarium. As I read about the immense poverty world-wide, I am stunned by my own selfishness. I weep at the selfishness of the church. 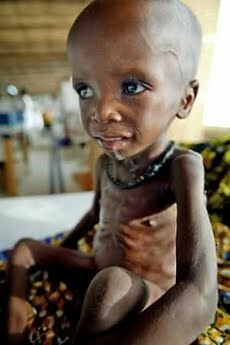 Does anyone notice that one in four children in third world countries is severely malnourished while more than one in four children in America is severely obese? What does this say about us? We have the most of the most and we give terribly little. Do we want to continue to entertain the modern church or do we want to begin making ready the fields for harvest? We have to quit placating and medicating ourselves so that we can be about the real work of the Father. 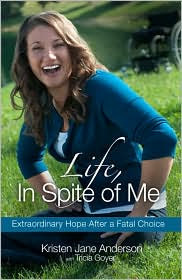 Life, in Spite of Me is Kristen's story of healing from a suicide attempt. It was no ordinary attempt either. She laid down on a railroad track and was run over by 33 freight cars on a speeding train. She should have naturally been sucked under the train, but she felt something holding her down. Later, she realized that force was the hand of God. This book deeply ministered to my spirit. As I read how her struggles and battles loomed over her and God gently led her about, I was grateful to be reading it. I have my legs, but I have lost a lot of things in this life and I could identify with every word she said. Even in her struggle to learn to walk on prosthetics, God infused me with hope and courage. The most frightening and poignant part of the story was when Kristen realized that she would have gone to hell if she had died and God saved her. She had been in church her whole life, but never accepted Jesus as her personal Saviour. Because of her discovery, God led her whole family into a relationship with Him. God can use the most overwhelming circumstances to draw others to Himself and bring glory to His name. I am thankful that the Lord has so tenderly led me in the past months. I am thankful for the love of people. I am grateful that people care enough about us to send us a hundred workers on Memorial Day. I am moved beyond words that God has confirmed His love is the flood of donations we have received this past week. The Lord is good. He confirms us in our obedience and our trust. He never leaves us or forsakes us. He goes through the fire and passes through the waters with us. He is good. "In Radical, David Platt challenges you to consider with an open heart how we have manipulated the gospel to fit our cultural preferences. He shows what Jesus actually said about being his disciple--then invites you to believe and obey what you have heard. And he tells the dramatic story of what is happening as a "successful" suburban church decides to get serious about the gospel according to Jesus." When I was about halfway through this book, I told my husband I didn't think I was going to be the same at the end of it. 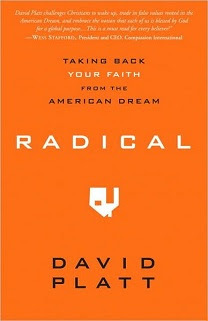 I read alot of books, but I am rarely so stirred by the words contained in it as I have been with this book. I was moved to tears many times by David's stories of getting to share the gospel globally. He had to be hidden and smuggled into many countries to share the gospel. Why are we so timid and spending all of our resources on ourselves? One thing that stood out to me was the people in foreign countries who would beg him to preach the Bible to them no less than 12 hours a day. It is such a stark contrast to us. We have so much and yet we can hardly finish reading the tiny email devotionals we get each day. Our hearts are hard. We cannot share a gospel that we do not know. This is a horrifying showcase of how we build obscenely priced church buildings and give so little to aid the tens of thousands that starve to death every day. We have deluded ourselves. I am forever changed. I don't want to go back to the status quo. Join me. Take the one year challenge to a radical life. "We are molding Jesus into our own image. He is beginning to look like us because, after all, that is whom we are most comfortable with. And the danger now is that when we gather in our church buildings to sing and lift up our hands in worship, we may not actually be worshipping the Jesus of the Bible. Instead we may be worshipping ourselves." I was recently given the opportunity to review new music for Centricity Music. Several of our amazingly gifted friends write for Centricity and I am blessed to get to review new music for them. 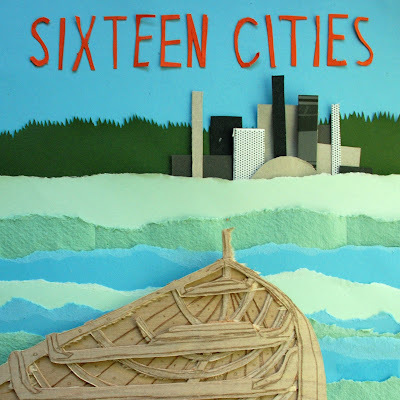 I was given the opportunity to listen to the new album by Sixteen Cities this past week. They are an up and coming group out of Portland. The music was excellently produced. All of the songs posses a driving beat and gifted musicians. Winter is one song in particular ministered to me. I thought you might enjoy the lyrics and will include them in this post. The song is deeply thought provoking and a humble cry to God. Check out Sixteen Cities. How did I ever get this broken? I never meant to fall this far. I feel like I'm completely frozen. back to where you are? can tell me how to find my way home. are all the things I'm running from. I don't want my heart to turn to stone. can you save me from this winter? And now it’s covered up the truth. we got so far away from you.